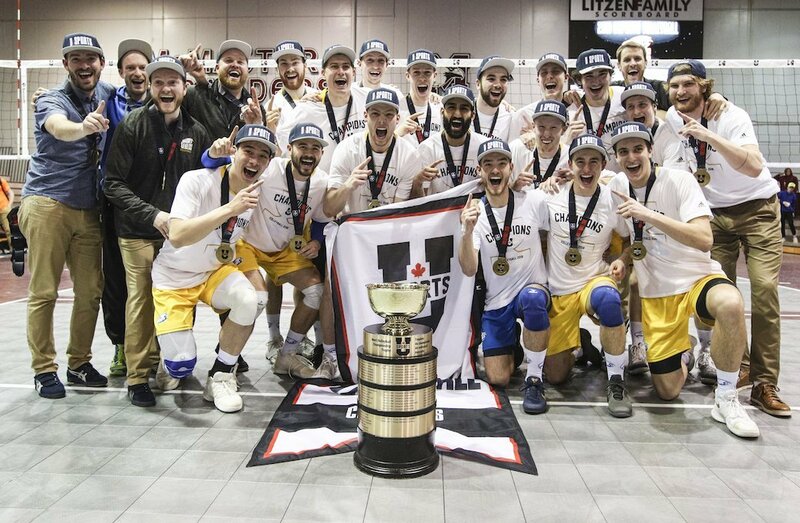 The UBC Thunderbirds delivered a huge statement on Sunday, knocking off the two-time defending champion Trinity Western Spartans in straight sets to etch their name on the Tantramar Trophy ending a 35-year drought at the TELUS 2018 Men’s Volleyball Championship Sunday at McMaster University. UBC swept away the Spartans’ chance at a three-peat with set scores of 25-22, 25-18, and a thrilling 27-25 closing set. 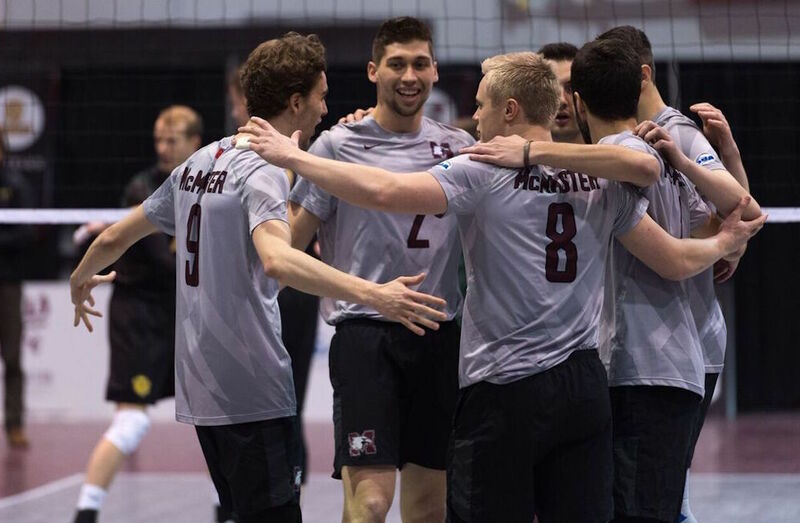 This is the Thunderbirds fourth overall men’s volleyball championship and first since 1983. UBC also won crowns in 1967 and 1976. Keturakis thought earning the title against a team of the Spartans’ quality was an extra cherry on top of the championship crown. Keturakis was a big reason the UBC offence hit its stride today, as he cycled the ball to balance the Thunderbirds’ attack. He tallied 31 assists in spurring the offence, while Fynn McCarthy benefited to lead the team with 11.5 points in the championship win. Irvan Brar posted 11 points while Jordan Deshane and Keith West were also key contributors registering 10.5 and 10 points respectively. West tied with McCarthy for the team high nine kills. For Trinity Western, Eric Loeppky was the top scorer, recording 13 points, while Jessie Elser posted 11 in the loss. Trinity Western coach Ben Josephson saw a Spartans team that was denied their rhythm and comfort by constant Thunderbirds pressure. “They did what they do best and they served with a ton of pressure,” said Josephson. “I thought our receivers did a good enough job of not getting aced, but the problem was that we weren’t really in a position where we could run our middle or pipe offence, which is what we build around. The Thunderbirds roared out of the gates in Sunday’s final, and built a 16-13 lead at the technical timeout in the first set on a kill from Fynn McCarthy. 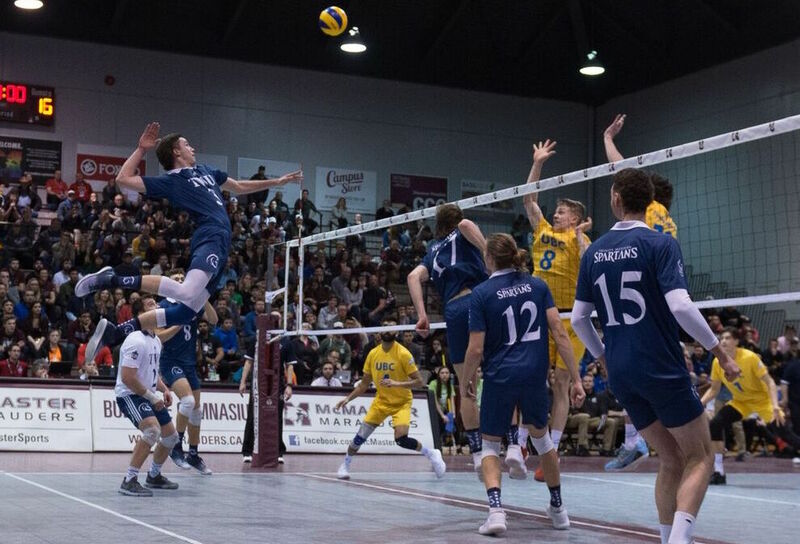 Keeping things interesting as the set moved toward its endpoint, the Spartans closed within two points on several occasions but could get no closer, and UBC ended the set when Trinity Western’s Jesse Elser blasted a serve well long of the back line. Locked at eight early in the second, the Thunderbirds engineered a crucial 8-1 run with Joel Regehr at the service line to race into the technical timeout with a 16-9 advantage. Much as they did in the first, UBC showed no nerves in holding their well-earned lead, and rode another 4-1 streak to a commanding 20-12 cushion. 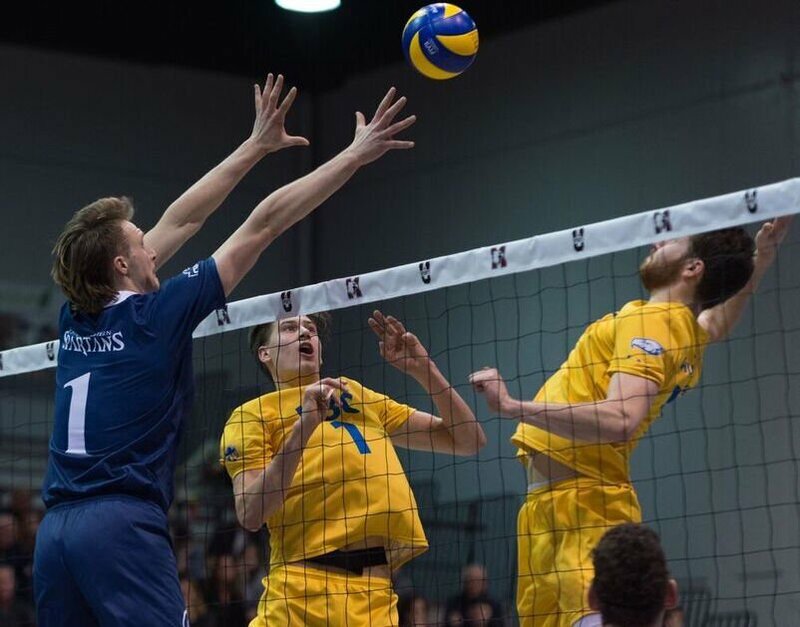 After a service error from Trinity Western’s Jacob Kern brought up set points, the Thunderbirds converted on the third opportunity to take the two-set lead, sealing it on another service error from Elser. The Spartans made their move midway through the third set, ripping off three straight points from 11-10 to force the Thunderbirds into a timeout. The margin was three points at the technical timeout, after Schriemer took matters into his own hands. But UBC was not to be denied, and despite trailing 23-21 late, the Thunderbirds struck back to force extra points. A string of three consecutive points brought up a UBC championship point at 24-23 after a service error from Elser, but the Spartans produced an incredible defensive stand - including a diving stab from Schriemer -- to extend the night. Trinity Western enjoyed a set point of their own before it was over, but saw it erased by a kill from West, and UBC made good on their second championship point when West kissed tape with the attack before it bobbled to the floor. The Thunderbirds’ last appearance in the men’s volleyball final came in 1984, one year after they claimed the national title. 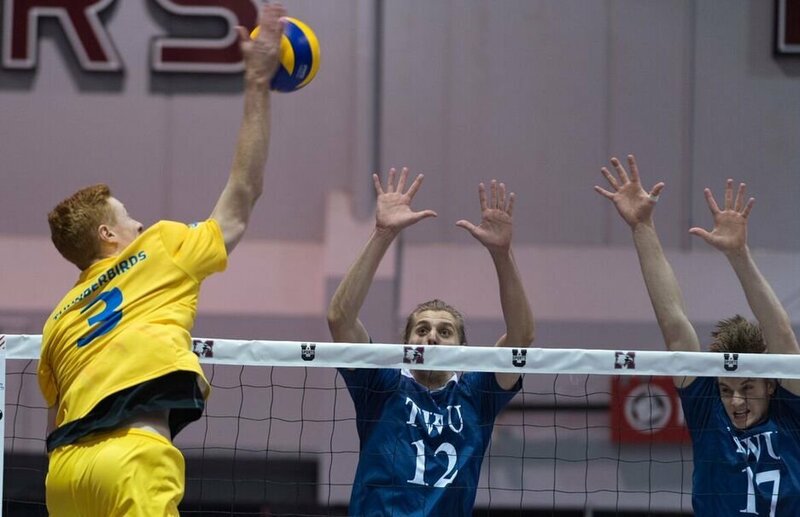 UBC’s run to the championship included a straight set victory over UNB in the quarter-final match, and a 3-1 semifinal victory over Alberta. Prior to tonight's 3-0 defeat, Trinity Western had not been swept by a team in 50 matches. That loss came back on Jan. 7, 2017 vs Saskatchewan in Langley. “We had two fairly comfortable sets there, and lopsided wins against Trinity Western don’t happen too often. We knew that we were in for a battle in that third, but we battled back and were able to take it.